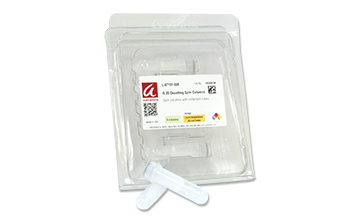 Advansta's G-25 Desalting Spin Columns are single-use columns for size-exclusion chromatography. 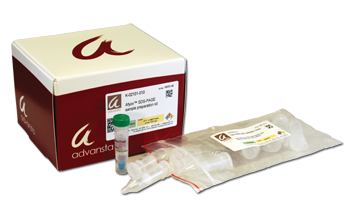 Easily remove salts from protein samples or carry out buffer exchange. Quickly remove free dye or unbound radioactive label from labeling reactions. Each spin column has a 0.6-mL bed volume, capable of desalting a sample with a volume between 50 and 180 µL. Each G-25 Desalting Spin Columns include 5 spin columns and 5 collection tubes.